Investors in the U.K. stock market appear to have forgotten June's shock vote to leave the European Union. 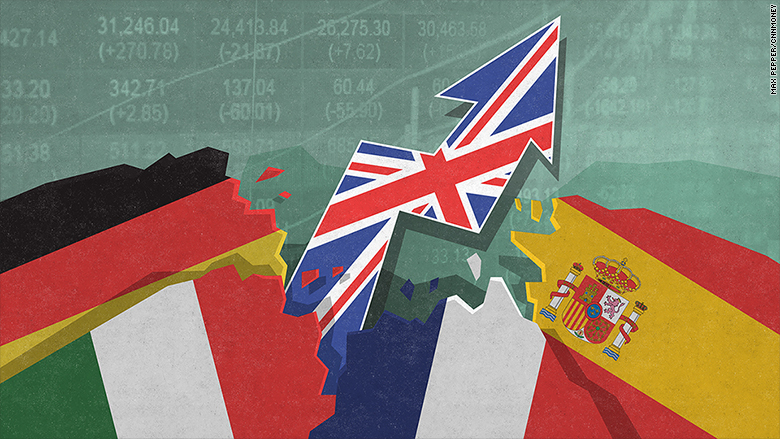 All London's major indexes have notched up gains for the year so far, while every other big European market -- Germany, France, Italy, Switzerland -- is still nursing losses. That's despite dire warnings from experts ahead of the referendum. They predicted a vote to leave the EU would spell disaster for the U.K. economy and markets. So what is behind the storming recovery in U.K. stocks? "Brexit is a shock to the U.K. economy because it makes the U.K. a much less attractive place to invest," said Holger Schmieding, chief economist at Berenberg bank. "The economy and companies listed on a country's stock exchange are very different things," he said. London's benchmark FTSE 100 stock index has not only bounced back from the post-referendum shock -- when it plunged 9% -- it is actually trading 8% higher than on polling day. It's not as great as it sounds. U.K. stocks are up in local currency terms, but they're worth less in dollars. The pound has dropped 13% against the dollar since the referendum day. And measured in euros, the FTSE is down 5.6% so far this year. That's worse that Germany's DAX, which has slipped 2% in 2016. But the cheap pound is also helping. Many of Britain's top 100 companies do most of their business abroad and book their revenues in dollars. The broader market also includes many exporters, who are getting a boost from the weaker currency. 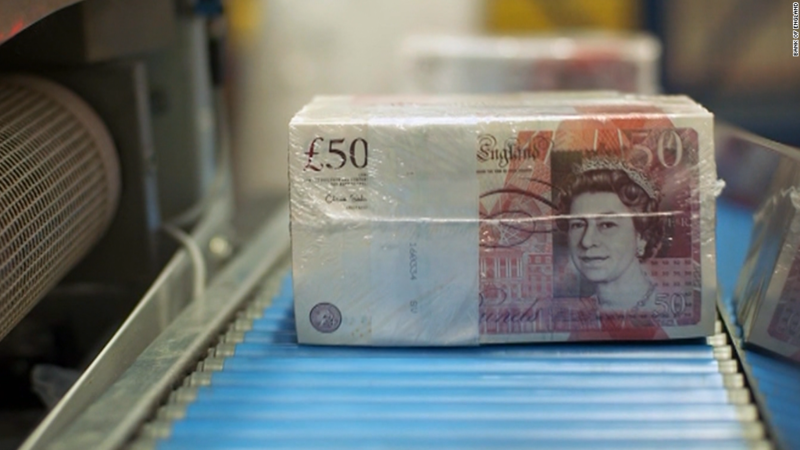 "The index is very interesting for investors from a valuation perspective and given the massive sell off in the British pound, it will make the export industry very attractive," said Naeem Aslam, chief market analyst at Think Markets. The FTSE 100 index is heavily weighted towards mining and oil and gas companies, which have seen a big bounce this year, thanks to rising prices of commodities, including metals, minerals and oil. Gold has risen 27% and oil has also rallied. Remember U.S. crude at $27 a barrel? It's now trading at $43. BP (BP) is up 20%. Rio Tinto (RIO) has gained 27% so far this year, while Royal Dutch Shell (RDSA) is up 29% and BHP Billiton (BBL) is up 37%. Investors have also been encouraged by a new injection of central bank cash into markets, which drives down yields on bonds. Last week, the Bank of England cut interest rates for the first time in seven years, and said it would revive a broad stimulus program to try to prevent Brexit tipping the U.K. economy into recession. Moreover, the bank made clear it was ready to do even more if necessary. Brexit caused a huge shock to the global markets, wiping $3 trillion off stocks in just a couple of days. That's because the implications go way beyond the U.K. Many investors are worried Britain's exit from the EU could put the whole European project at risk, as more countries might want to leave the bloc. That's one reason why European banks are suffering badly right now. "The Eurozone is now struggling to hold itself together. When deciding where to put their funds, investors are likely favoring the U.K. over Europe for reasons of stability," said Augustin Eden, research analyst at Accendo Markets.